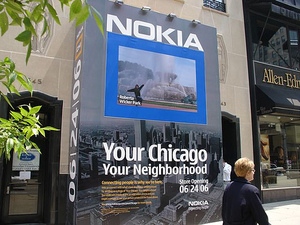 On June 24th, 2006 Nokia opened the doors to its first flagship store in the US inviting consumers into a world of interactivity. Respectfully nicknamed by Nokia fans as "Nokia Playland" as well as others, the Flagship stores offer consumers the ability to check out its devices and explore the world of connectivity. I had the pleasure of meeting the staff while in Chicago and even hanging around for a few hours to watch them in action. Knowledge is not absent with this crew and they seem to have a blast at what they do. In honor of celebrating your 1 year anniversary I'd like to congratulate Bridget, Joe, Jon, Linda, Rob, Noel, Marge, Tim and the rest of the crew for all of your hard work! Here's to many many more years to come!! 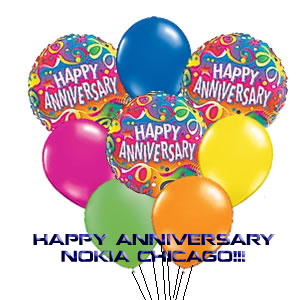 I will be in chicago this week, attending an Open Source Telephony show and would like to visit the Nokia store. Can you give the address in Chicago?